This Gary Moore lick shows Gary playing in the key of E using shape 4 E blues scale at the 7th fret. After some tasty B string bends Gary launches into a repeating picking lick using the chromatic passage from the blues scale on the D string. Use alternate picking for this and a healthy dose of palm muting for a fat and chunky sound. 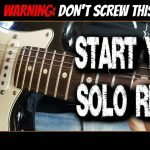 This is a trick you’ll hear in many Gary Moore style licks and on many of Gary’s greatest solos like ‘Out In the Fields’ and ‘White Knuckles’. 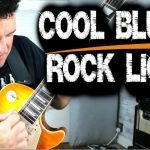 Make sure to check out all the cool shape 4 moves used in this lick . You can use them to come up with some Gary Moore style licks of your own!